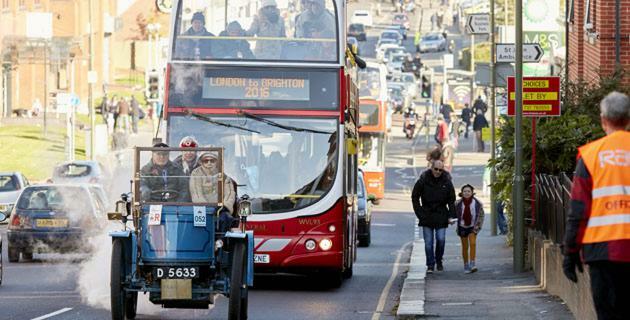 The Open-Top Bus Tours give spectators the opportunity to be involved and experience the 60 mile route taken by the veteran cars. You will be able to soak up the atmosphere in Hyde Park with exclusive access to the VIP area at the start line and then follow the cars down the route to the halfway checkpoint at Crawley High Street. 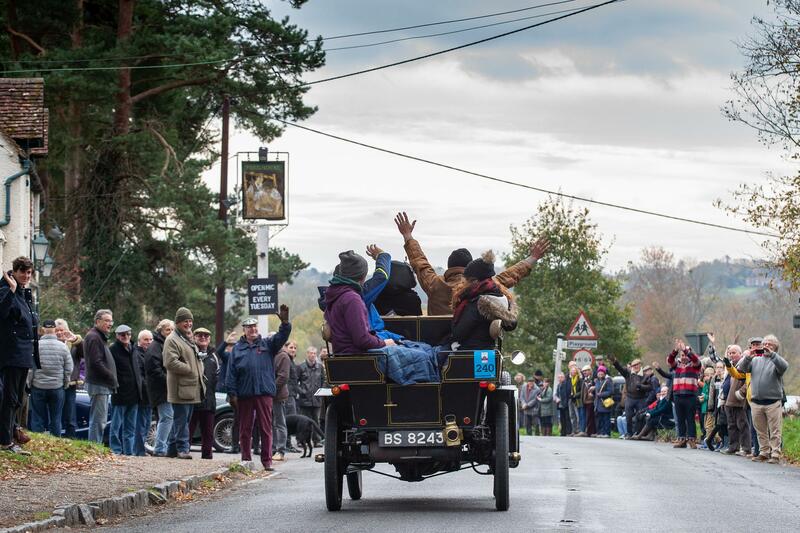 Veteran cars will be stopping in the High Street for interviews, there you will have the chance to watch the cars pass the halfway mark of their journey. From here you will continue to follow the route with your next scheduled stop at the finish line at Madeira Drive in Brighton. In Brighton you will have access to the paddock area where you will be able to view the cars as they cross the finish line and celebrate the end of an historic day. Due to the unpredictable British weather the buses will only be filled to 50 per cent capacity giving everyone the opportunity to shelter on the lower deck in the case of inclement weather. Make sure you wrap up warm! 6.40pm: Arrival in London. Drop off point at Queen Elizabeth Gate, Park Lane. 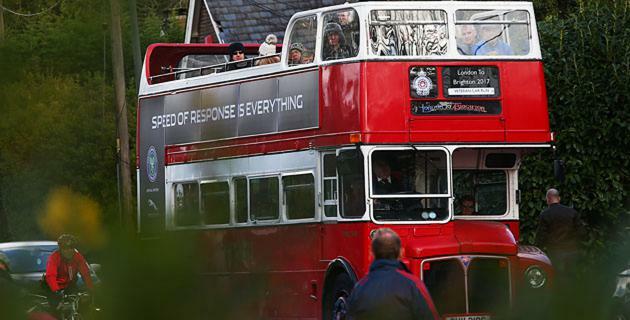 You will be able to purchase tickets for the Open-Top Bus Tour soon. Sign-up to our newsletter to be among the first to hear when bookings open, or check back here soon! If booked, further instructions will be sent to you at the beginning of October. Please note that places are limited and are issued on a first order basis.